The hair is sparse and the silhouette thicker, but he remains for a whole generation the indefatigable DIY spy: MacGyver. 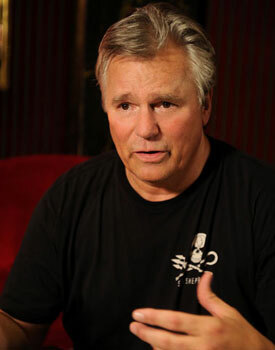 The humble actor, guest of honor at the 20th Jules Verne Festival in Paris, discusses his twenty-five year career and exclusively... the secret of his famous mullet cut! 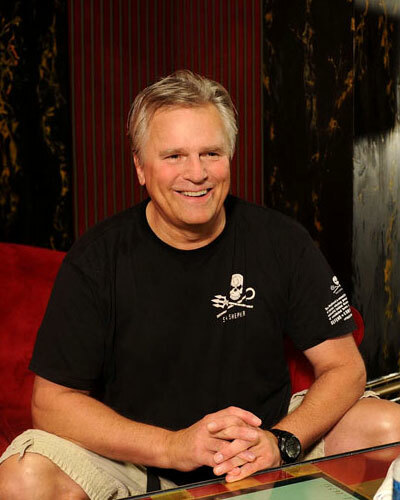 Richard Dean Anderson: It's nice to hear that. But I never really realized the impact of MacGyver at the time because I myself was very uncomfortable vis-à-vis celebrity. I come from a very remote area of the United States, Minnesota. And we're very modest and very discreet people. But you're an actor, it's your job to draw attention! I know, it's very contradictory. But there is a difference between being an actor and becoming a star, and at the time, the discovery of celebrity knocked me out. You didn't have even a little advantage? MacGyver had a great way with the ladies! We come to the most important question if you will... Did MacGyver invent the mullet? It was the mid-80s: you were just born... I had very long hair all over before MacGyver. When the series began, I cut it all off. Then the production decided that I had to keep the long hair. But that created a problem with the image: the hair kept falling in my eyes right in the middle of a line, and that didn't work at all. So we shortened the front and left it long in back: the mullet was born! Yes, but look at what it looks like now: OH MY GOD! The horror! How embarrassing! Today, nobody but hockey players wears the mullet with pride (laughs). Yes, they have not stopped making fun of MacGyver in The Simpsons, it became a running gag. 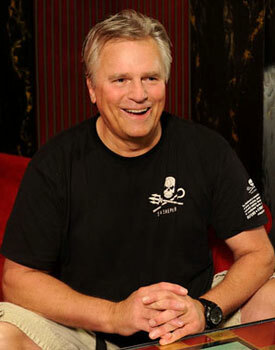 Until they ask me to participate in an episode where the legacy of MacGyver is joyously trampled. I was thrilled! Yes, and also a new series. As far as I'm concerned, MacGyver has has his time. And in the end, our credibility took a blow: technology has continued to catch up with poor Mac. What would it look like today, now that everyone has a cell phone? I am a single father who is trying to raise his daughter as best he can. 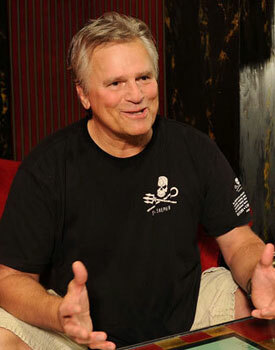 And I'm very interested in the preservation of the oceans through the Sea Shepherd organization. I've become fat and bald too... But I'm starting to feel the urge to work again. I announced my retirement in order to raise my daughter because I did not want her to grow up away from me. But she is very perceptive, my daughter. A few months ago she told me: "You know Dad, I'm fine, you can go back to work if you want. You're so much happier when you're working." A girl of 14 years old! Lose weight and get a job: this is my plan for the coming months. Is MacGyver a DIY-er? Can you manage a screwdriver and hammer at home? I'm smart but very lazy. I see what needs to be repaired, I understand what needs to be done, and I'm too lazy... But I'm like everyone else: it is always a great victory when I can put up beautiful wall shelves! Last question: growing up before MacGyver, I could not help myself, at the time, from falling in love with Teri Hatcher. What do you remember about her? Very simple: I also fell in love with her! We first worked together then we went out together. I have only good memories of Teri. Her career has exploded with Desperate Housewives and I'm really very happy for her. She had a rough time in her private life, she deserved to win. Saunier, Jérôme. "The Discovery of Celebrity Knocked Me Out" (Translated from the French). Voici. October 19, 2012.